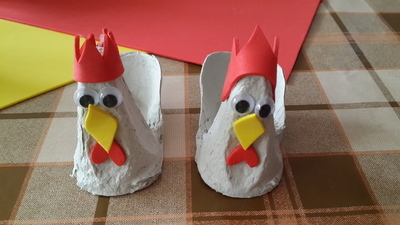 Make these cute and adorable chicken and egg holder for Easter with the little ones. 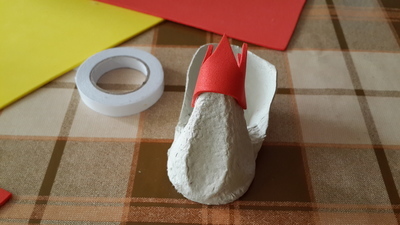 These are simple to create and required only few materials. 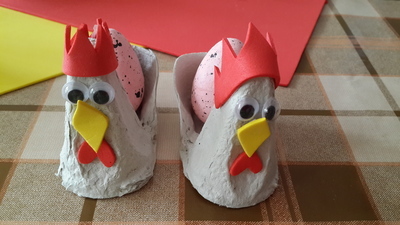 They will definitely be a great addition to Easter decorations. 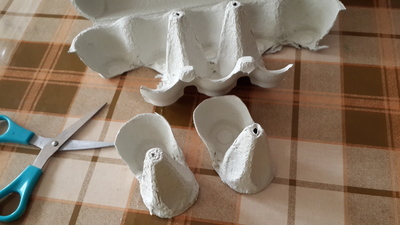 Cut the 2 extremities of the egg carton. 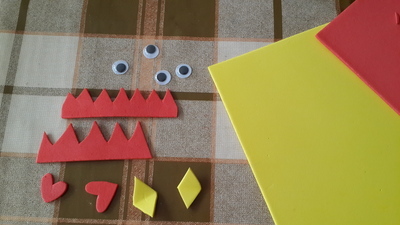 Cut the chicken's comb and beak with the foam sheets. 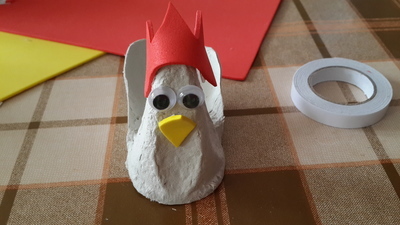 Tape or glue the comb and beak, as well as the googly eyes. Place eggs in the egg holder and you are done. 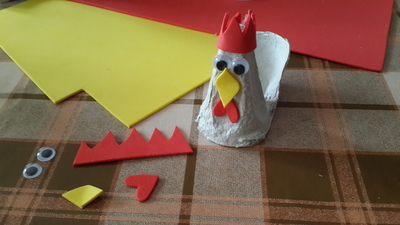 Do not forget to make some Easter chicks and bunnies for some variation. 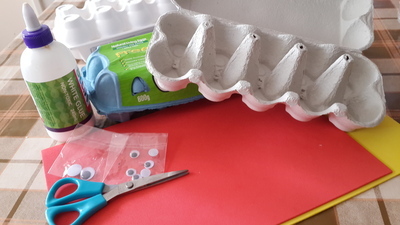 Click here for egg carton chicks tutorial.